But in the grand scheme of villainousness, there’s one thing that doesn’t come to mind: time travelling monkeys. 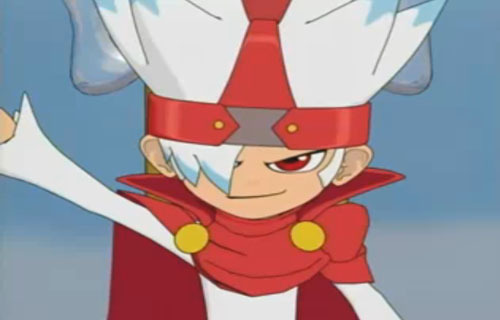 Nevertheless, Specter and his band of fellow furry fiends are the antagonists of PlayStation classic Ape Escape. This 1999 platformer had arguably the oddest premise the genre (or any other freaking genre) has ever seen. Specter was an innocent circus monkey. You know, dancing about, juggling knives, playing with itself and not caring who’s watching, all that usual monkey stuff. By some freakish chance, he inadvertently tries on the Peak Point Helmet, the intelligence-augmenting invention of a local crazy professor. This is not, by any stretch of the imagination, a good thing. With his newfound genius and a dash of good ol’ fashioned crazitude thrown in, Specter goes all megalomaniacal on us. He outfits all the apes in these helmets, and they rampage through the professor’s laboratory, where the clever old bugger has just completed a time machine. You see where this is going, of course, and Specter sends his henchmen backwards and forwards though time to create some bizarre new monkey empire. Of course he does. Nothing screwy there. All of this is a fine excuse for varied levels in a platformer, taking us from prehistoric dinosaur-y jungles to the technologytastic future. 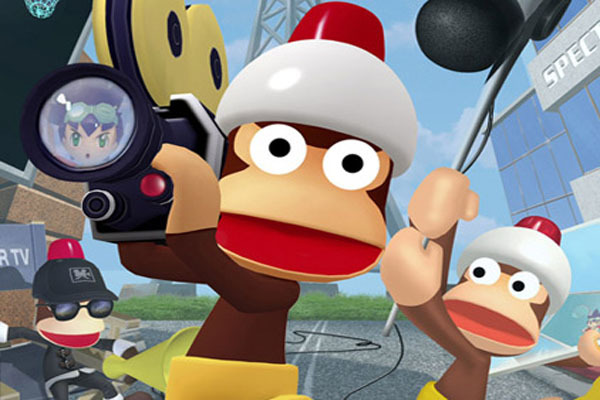 Your objective in each is to capture a specified number of monkeys, with all kinds of gadgets from the professor. A humble net suffices for the early ones, but in later levels these wily beasts will be armed themselves.Stealthy approaches and/or a fair amount of firepower of your own will be needed to succeed. Specter himself has the fanciest (and deadliest) flying machine any monkey has ever owned. Quite a final boss.